The boys are not home. The entire army is searching. They know something but they will not tell the public. The nation is crying. We are good at crying. We cried at the destruction of the Temple by the Romans in the year 70 and have not stop crying since then. We have had good reason to cry. We have suffered every form of persecution and torment known to man and God. And much of that persecution came in the name of God, or some interpretation thereof. Europe and the Middle East are lined with our graves; sites of massacres, mass murders, pogroms, farhuds, inquisitions and Holocausts. Our tears could fill many oceans. 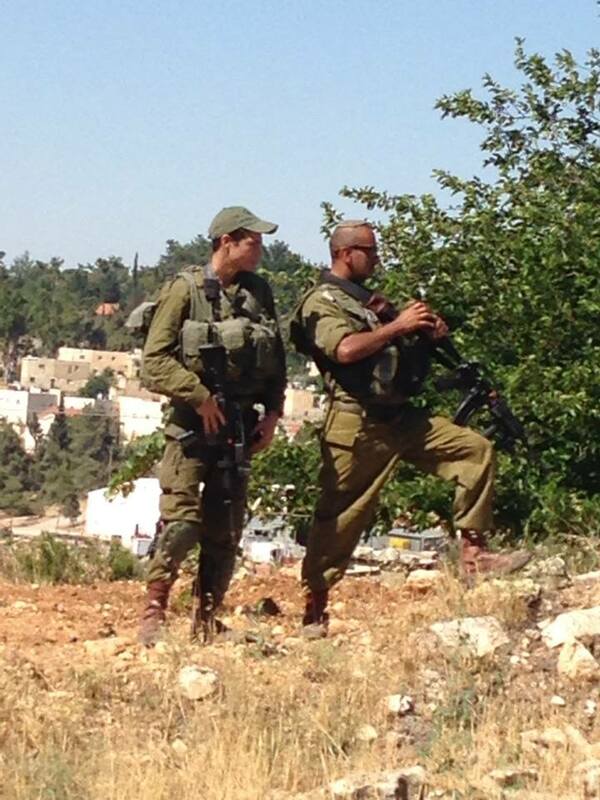 Israeli soldiers searching for our young men, Eyal, Gilad, Naftali, taken hostage by the enemy. But our tears went unanswered and a cold world shut its' heart to us. And I say No more tears! I say we answer with guns, and tanks, and planes and an Iron Wall. No more tears. I say we stop seeking the sympathy of the world and start demanding respect. And respect can only come from self respect. I admire the prayers, voices are crying out from all over the world but I say this is not the answer. And I say this is not enough. "Why do you shout to me! Speak to the children of Israel and tell them to go forward". Thus spoke God to Moses, thus He responded. In times of trouble limit your prayers but increase your action, increase your resolve. The sea split when the Children of Israel had the courage to walk into the raging waters. I have the privilege of working with some great warriors. Sharon, Steve, Eitan, Eitan and Eitan, Oleg, Matan, Meir, and Shai the Man of Peace. They project confidence. They project resolve. They enter into battle with a prayer in their hearts and with the protection of a narrow barrel. Courage leads the way. Fear is given no voice. They are the warriors of Israel built from the ancient mold. In their veins flows the blood of King David, Shimshon, and General Shimon Bar Kochba. They are not asking for sympathy. They do not plead..Bring Back Our Boys; they go after the enemy. Eitan, Eitan and Steve. Always ready. Some say "This is not a time for criticism, this is not a time for pointing fingers and marking faults". I say it is indeed. This is a time to learn and yes this is a time to find fault, in ourselves. True, the Hamas is the guilty party but our Jewish tradition teaches us that those who had the power to prevent such things and did not do so, are also to blame. The sacrifice of the "Eglah Arufa", the slaughtered goat, is offered by those who might have been able to prevent a death, but were guilty of sins of omissions. If we do not take steps to prevent these actions then we too are partially to blame. We do not live in a perfect world and yet we act as if we do. We are at war and yet some people choose to live here as if they are in Australia or some Utopian peaceful land. Here learning Krav Maga should be an obligation upon every member of society. I hear the prayers and I hear the cries and I say: Come train with us in Krav Maga! I say stop being a victim, if the enemy comes for you then give them the fight of their life, give them the flight for your life. Learn to protect yourself. So much of the violence in this world is preventable. You do not need to be the most coordinated athlete. You do not need to be a champion boxer or a master of Jujitsu. IKI Krav Maga offers you easy, simple techniques and strategies that can be learned quickly. We offer you solutions, so that your family will not have to offer prayers, but only thanks. Invest in yourself. Train with us, IKI Krav Maga. 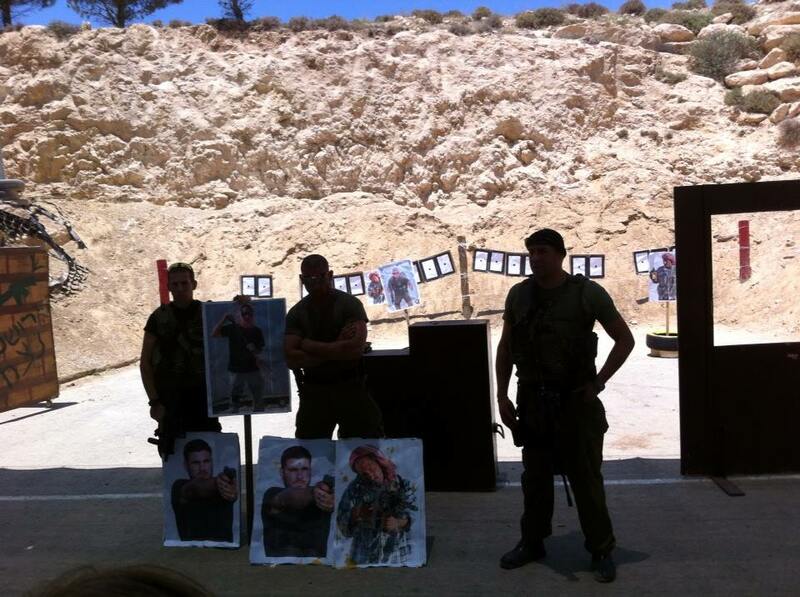 Immerse yourself in two weeks of Krav Maga training and Israeli culture, emerge a different person.